Below is an introduction to all the required paperwork you may need when considering a career as a Broker, Carrier or Freight Forwarder. Please review this information carefully. TFS Mall can help you with all steps in your career. Please contact us if you have any questions or to help you get things started! How to set-up your business from conception, business plan, acquiring a Dun & Bradstreet number, becoming licensed through the Federal Motor Carrier Safety Administration, booking loads, managing contracts, using the bill of ladings, basic shipper/broker contracts, marketing, promotions, sales and much more. We encourage you to go step by step through this start-up-plan and pursue all of the information presented to gain a complete understanding of the transportation industry. Make sure you check back often for updates and information relevant to the industry that will enable you to have the successful business you seek. TFSMall’s Transportation Guide will also offer you an online forum for our users to exchange ideas and tips from members to better foster a community of like-minded individuals who want to further grow their business. As you make your way through this shopping mall and it’s the network of products and trained professionals feel free to drop us a line at any time to let us know what information we can offer you to enhance. Your experience with the site. We are here to assist you and our number one priority is making you successful at what you do. This allows us to be successful at what we do. Please enjoy yourself, and drive in to be free to have a dialogue with us. We want this experience to be “About You”, and building your business. The business plan consists of a narrative and several financial worksheets. The narrative template is the body of the business plan and serves as the GPS because that is where your journey begins. It contains more than 150 questions. Work through the sections in any order that you want, except for the Executive Summary, which should be done last. Skip any questions that do not apply to your type of business. When you are finished writing your first draft, you’ll have a collection of small essays on the various topics of the business plan. Then you’ll want to edit them into a smooth flowing narrative. This is where you will test your knowledge of your career of choice to determine if this is really what you want as a vocation, and what do you need to do to equip yourself. The real value of creating a business plan is not I have the finished product in hand, rather, the value lies in the process of researching and thinking about your business in a systematic way. The act of planning helps you to think things through thoroughly, study and research if you are not sure of the facts, and look at your ideas critically. It takes time now, but avoid costly, perhaps disastrous, mistakes later. The business plan is a generic model suitable for all types of business. However, you should modify it to suit your particular circumstances. Before you begin, review the section titled “Refining the Plan” found at the end. It suggests emphasizing certain areas depending upon your type of business (manufacturing, sales, retail, service, etc.). It also has tips for fine-tuning your plan to make an effective presentation to investors or bankers. If this is why you’re creating your plan, pay particular attention to your writing style. You will be judged by the quality and appearance of your work as well as by your ideas. It typically takes several weeks to complete a good business plan. Most of that time is spent on research and re-thinking your ideas and assumptions, but then that’s the value of the process, so make time to do the job properly. Those that do never regret the efforts, and finally, be sure to keep detailed notes on your sources of information and on the assumptions underlying your financial data. There is a famous proverb that states, “consider the cost”. This could be taken several ways, not only to the dollar amount of starting a business but too it will take on your family if you are thinking of a home-based business. You can be gone five-day, forty-hour work week. Every day and many hours are spent on finding freight. Checking carriers’ qualification, tracking shipments, and confirming rates and deliveries. The business plan will be determined by the size of your investment, the number of employees and annual dollar volume. If you are an owner-operator and plan for your family to find freight and run your office, then an office could be run out of your home. In this case, two authorities would be required, a carrier, and broker permit. The wife or employee could find good freight, contact owner-operator as the carrier, and give the overflow to either other regulated carriers. For the company that plans to have revenues of over one million dollars in annual, then an attorney should be consulted, as well as a competent CPA. A corporate structure is best suited for a medium-size to a larger brokerage. There are several classifications; an attorney or CPA should be consulted on this matter. You can contact (Internal Revenue Service) IRS for your Federal Identification number and this will allow you to select what kind of company you want to own. A Corporation, Partnership, Limited Liability Company (LLC), Fictitious Business Name (DBA) an S Corp and/or a C Corp. The brokerage business can be risky when you factor in the cost of moving a load, and the small profit margin for the amount of capital expended. In an average movement, the broker agrees to pay the carrier an agreed amount to move the load from point of origin to the point of destination. The full amount of the debt (cost of carrier’s service) is assumed by the broker. When a shipper is unable to pay, particularly if the shipper has run up a substantial debt, then the broker could be liable to pay the carriers and the broker may be forced into bankruptcy. In many instances, the broker’s commission is only 10% to 15%, so even just one or two bad loads could cost the broker thousands of dollars. The corporate shield could protect personal or other business assets from creditors, except in the case where a principal signed as a personal guarantor. Many states have created (Limited Liability Company) LLC and (Limited Liability Partnership) LLP structures, and an attorney should be consulted in the creation of either type as different states treat the liabilities of these entities in different ways. There could be an alternative to a corporation, with associated cost savings for the formation. The most common business form for a small company or partnership is known as a fictitious business name, or as express as doing business as, or DBA. This formation does not provide protection against bankruptcy. In most states, a legal notification published in a local newspaper declaring the individuals involved in the formation of the company and the place of business is required in order to open a business checking account. Interstate transportation is not subject to state and local sales taxes. A start-up using the home as an office does not require a large investment, but there should be sufficient working for the initial start-up. A small home-based business should have for $25,000 to $45,000 in start-up funds. In addition to a computer, telephone, and fax machine. The Department of Transportation (DOT), the Federal Motor Carrier Safety Administration (FMCSA), and the Surface Transportation Board (STB) serve three different functions within the Department of Transportation. The Department of Transportation, (DOT) is charged with the safety elements of the transportation industry as a whole, motor, rail, and air, with oversight responsibilities regarding elements of railroad safety issues and motor carrier safety inspections as well as transportation of hazardous materials. The DOT issues US DOT numbers to motor carrier’s operation and conducts random and roadside safety checks of motor carriers. 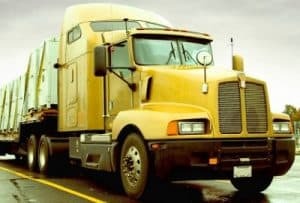 All motor carriers operating vehicles that require a CDL, (driver’s license) both for hire as well as private fleets, must have been issued a DOT number. Anyone can apply to the FMCSA for a Property Broker’s License. There is no examination required. All you need to have is the FMCSA filing fee. The property broker permit authorizes the arranging of transportation for shippers of general commodities (except household goods), including any manufactured products, such as automobiles, building material, supplies, liquids in bulk, frozen food, foodstuffs, new furniture, and any processed or manufactured products. The broker is not directly responsible or legally responsible for either cargo or liability insurance, but the broker should have proof that the carrier has adequate coverage to protect the shipper from loss. Application for a property broker’s license can be found on the internet or requested in writing. An applicant can receive their Motor Carrier (MC) number the same day, but it takes 30 days to become an operating authority. There is a 10-day protest period, and it can take several days to acquire a BMC 84 or BMC 85 Broker Bond or Trust Agreement. Although an individual can make an application themselves, it is prudent to seek out transportation consultants such as Transport Financial Services, a specialist for assistance to save approximately ten (10) days to become Active as a licensed broker. The form is relatively simple to complete, but there are many pitfalls that could hold up your authority for months. Although we are dealing with primarily property brokers it is important to draw the distinction between “used household goods” and new furniture and fixtures. A property broker can arrange for shipments of new furniture but must be authorized to arrange for household good shipments by obtaining a Household Goods Brokers Permit MC number from the FMCSA. The meaning of these two terms is important to anyone dealing with transportation of freight, Interstate transportation used in the context of this book means any transportation (load) between a point (place) in one state and a point in another state. Therefore, this falls under the jurisdiction of the FMCSA regarding permits and licenses. Intrastate transportation is defined as a shipment with an origin and destination wholly within one state. Several states require intrastate broker permits and a separate Intrastate Broker license form from that state, as well as an additional broker bone or trust. Once the Federal Motor Carrier Safety Administration receives your application (OP-1 you will be assigned an MC number). The FMCSA will notify the applicant that they must fill a BOC3 and a BMC 84 or BMC85. TFS process all FMCSA and DOT requirements for applicants to be Licensed. A new form is now required once the carriers acquire their liability insurance, also can be acquired through our “Master Referral Program” for all transportation requirements to include the Uniform Carrier Registration (UCR). A BOC3 is the form filed by a person by a process agent company. This form contains a list of individuals who accept receipt of legal papers on behalf of a broker or carrier not residing in that state. The FMCSA broker license authorized the arranging of transportation between the fifty (50) states, and therefore must have a resident agent in each state the broker is authorized to conduct business in. When your resident agent is served with a summons or any legal action, then the broker is considered legally served. Shipments brokered to Alaska, must contract with a carrier who has Canada Authority, each Canada province has its own regulations, therefore the broker must be certain that the carrier is authorized to transport in or through each province. In addition, each province has regulations that govern brokering in Canada, therefore, to broker a load into or out of Canada, the broker must be authorized. The US-based broker may broker a load to the US-Mexican border, if the carrier has Mexican permission, he may be able to make the final delivery. This is an uncharted territory for a US-based broker. The transportation industry has changed drastically since the Interstate Commerce Commission “ICC Termination Act of 1995” which deregulated the trucking and the transportation industry. Prior to 1980, there was only one authorized broker operating in the United States, but after 1995, there have been thousands of Property Brokers authorized to broker property. Within the U.S. Brokering has become an integral part of the transportation mix. Brokers perform an important function within the logistics and transportation industry. Carriers rely on brokers to supply them with freight, both as front haul as well as back-haul freight. Shippers look to brokers to fulfill the important function of supplying the many trucks required to meet their shipping needs. The small fleets and owner-operators find that the broker can supply freight needed by the carrier, thereby, relieving the carrier. Thereby, relieving the carrier need of hiring a sales force to find freight for their company. Shippers, on the other hand, may need hundreds of trucks a day to move their freight. Rather than calling carriers, the shippers can have one call, find one or one hundred trucks. The modern day computer network provides the broker with a “virtual terminal” with thousands of trucks at their fingertips. With the Internet, they can post the number of trucks, and type of equipment they will need to meet their shipping needs at a moment’s notice. The tendency is to quote the lowest rate possible, but remember it is not always the lowest rate that gets the freight. Having a following of owner-operators who deliver on time and for a reasonable rate, is the best sales tool you possess. In addition, a user-friendly website is an important asset in the modern transportation marketplace. What is a Truck Broker? The technical terminology for what is referred to as a “Truck Broker” is a reality, a “third party” logistics provider to a transportation contract. A third party logistics provider is rarely or if ever shown as a party to the Bill of Lading, which is the controlling document in the movement of freight in interstate commerce. The Federal Motor Carrier Safety Administration (FMCSA) would classify it as a “Property Broker”. cargo insurance and all other legal responsibility for the transportation act. Although the shipper pays the broker direct, technically he is paying for the transportation services only. The hotly debated issue in today’s transport industry is “double brokering”. Although this practice is not spelled out as illegal practice in any of the FMCSA’s broker regulation, it is not a good practice, and many carriers will not accept any such shipment. Most importantly delivering carriers will not get paid. The underlying surety bond form, BMC 84 or trust agreement BMC 85 does not allow for payment to a broker, only payment to a regulated carrier or shipper. What is the role of a Property Broker in Interstate Commerce? The essential duty of a broker in interstate commerce is to become a third party in a transportation transaction. In a traditional movement of freight, the shipper would contact a carrier and contract with him or her to deliver a sum of freight for a set amount of money (a rate). When a broker enters the picture, the circumstances change drastically, no longer is the trucker the second party to the movement, but the “broker” becomes the second party, and the trucker becomes the “third party” to the transaction. The broker assumes the responsibility of paying the trucker for the transportation charges. In one sense, the transportation pie becomes smaller because the broker has inserted himself in the middle of the transaction, but assumes the reconcilability of paying the carrier and collecting from the shipper. The carrier is assured of being paid and is relieved of the duty of billing the shipper, and they can spend the time driving and doing what they do best. In return, the carrier relives themselves of the problem of finding freight and worrying about collecting their money from the shipper. The shipper is in turn relieved of the responsibility of finding carriers and negotiating with each one what their rate will be. The most important responsibility of the Property Broker is the selection of a “Bona Fide Carrier” authorized by the Federal Motor Carrier Safety Administration (FMCSA) to operate as a: Contractor Common Carrier in interstate commerce. It is solely the duty of the authorized property broker to ensure that the carrier they select has a valid Motor Carrier (MC) number, and US DOT number, and is in good standing with the FMCSA. The broker must be informed as to their cargo and liability insurance coverage before the shipper releases freight to the carrier. It would be virtually impossible to produce a “Transportation Guide” that would cover all aspects of freight brokering from the novice to the experienced broker agent. Therefore, we attempted to produce a learning manual that would be user-friendly to the complete novice as well as to the person with experience in the trucking and shipping industry. It is a decided disadvantage for a complete novice entering the freight brokerage transportation industry. The same would be true for a novice entering into any other field of endeavor now to that person. The general public is completely unfamiliar with the world of freight transportation. In fact, May 2016 I was invited as an “Expert Witness” to the FMCSA Round Table on Financial Responsibility as only one of two financial because of the recent law. That increased bonds/trust from $10,000 to $75,000 and they had concerns that financials under financed the bonds and would amass claims that they would be able to pay. They were wrong, but the experience in listening to all of the major insurance companies, that provided BMC 84 Bonds provided me with a new level of education. Being in a room filled with transportation professionals and attorneys was truly educational. This is said not to demand the general public. The same public could be true to any person entering a new field. Anyone in a new field could be taken advantage of during the learning curve. This is why “Transportation Consultant and Attorneys must be utilized. This is why the Transportation Guide designed with real cases of day to day operation has Questions and Answers that are comprehensively structured for carriers, freight brokers, freight forwarders, shippers, and intended to help the newcomer as well as the experienced veterans of the transportation wars.